Harbinger National is set up to provide you with the highest level of service and support. We have 11 offices across the nation with 54 sales representatives. A national sales manager, three regional managers, and four national account managers help to ensure superior support and leadership within our company and accounts serviced. We also have an inside operations manager and a marketing manager, as well as four regional marketing associates. Scott entered the office products industry in 1979. He began work as a delivery driver for a local office products company in California while attending Fresno State University. Scott was asked to perform just about every function within both operations and finance including management before moving into in sales. Scott was awarded multiple sales awards in the next 10 years including Rookie of the Year, the Top Gun Award (seven-time winner), and was a perpetual member of the Presidents Council. During a period of heavy industry consolidation, the company was purchased by Buhrmann, then merged with Corporate Express. Scott was asked to move into sales management and was promoted to Western Region Sales Trainer, Georgia Division VP of Sales, East Region VP of Sales and Corporate VP of Sales in a span of about nine years. With the acquisition of Corporate Express by Staples, Scott decided to change direction and embarked on a career working in the manufacturer’s representative industry. He now owns Myers Brazell & Associates. Scott currently resides in the NW Atlanta area with his family. A 29-year veteran of the office products industry, Nick has helped build a well-respected manufacturer’s rep group that focuses on sales excellence. Under his leadership, The Godfrey Group has flourished, earning Rep Group of the Year honors from Safco Products (two-time winner), MeadWestvaco and Stanley Bostitch in recent years. He was the 2007 MWV and the 2008 Clover Technologies Rep of the Year. 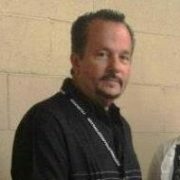 Nick is also the founder and designer of ireportsales.com, a web-based reporting system that has become the Office Products Industry standard and is a past Officer and Director of the Business Solutions Association. He is very active in raising money for The City of Hope, hosting a premier golf tournament annually. Marc comes to the Harbinger National Company as Vice President of Sales. 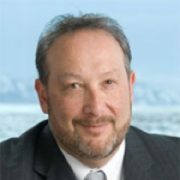 His background is highlighted by 20 years of experience in the office products channel; 13 years on the manufacturer’s side; five years as national sales manager for Itoya of America, a leader in the writing instrument and presentation products category, and 8 years as Vice President of sales for both the commercial and mass market channels for Z International, a market leader in both stock and custom adhesive label products. Marc also has 7 years experience with a national manufacturer rep organization as managing partner. Marc’s many successes include vendor of the year awards at Independent Stationers, sales manager of the year, and most recently sales organization of the year from Dri Mark Products Inc. Marc also works directly with vendor partners to develop both a national account and field support strategy for product placement and sell through within our distribution partners. Marc has a BS degree in Business Administration from Concordia College and currently resides in Overland Park, KS with his family. 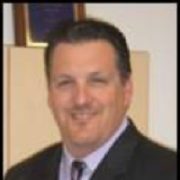 John Frey Jr. is a graduate of Miami University in Ohio, and has been with Frey Gaede & Company since 1988. 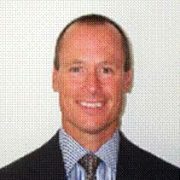 Currently a principal at both Frey Gaede and Blazer Brusa Sales, John overseas 26 states with his partners. He has served on several industry committees, including 5th District Travelers and OPRA, and is a board member for a large independent dealer. John has been awarded several manufacturer recognition awards including MeadWestvaco Rep of the Year in 2002. He is also involved with several nonprofit entities, serving as a board member for Karen Carns Foundation and participating in many fundraising campaigns for The City of Hope. John has three grown children and lives in Cincinnati with wife.